CJC Off Road Blog: December Fords! This past December was full of Ford Super Duties equipped with Carli Suspension upgrades! This our shop 2011 Ford F250. In this picture, it features a Carli Suspension Commuter 2.5" Lift Suspension System with Carli's Fabricated Radius Arms, Full Progressive Deaver Rear Leaf Springs, and Heavy Duty Rear Shock Mounts. It will feature a Carli Suspension Dominator 2.5" Lift Suspension System within the next week! This truck also runs TrailReady 20" Beadlocks and 37" Toyo Open Country R/T tires. 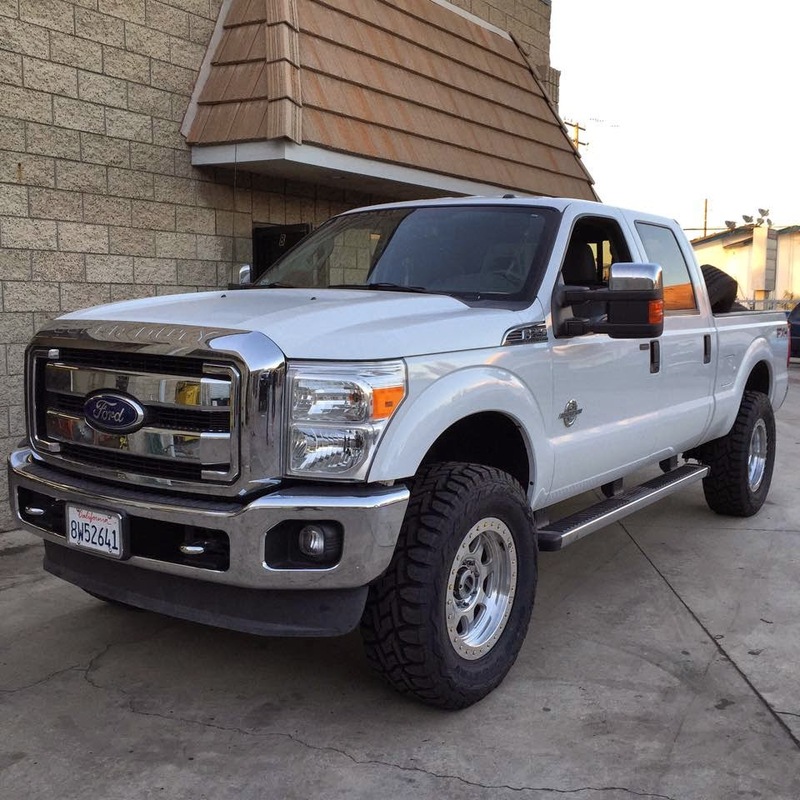 This 2013 Platinum Super Duty features a 4.5" Lift Carli Back Country 2.0 Suspension System upgraded to Full Rear Progressive Leaf Springs, 20x10 Fuel wheels, and 37" Toyo Open Country M/T tires. 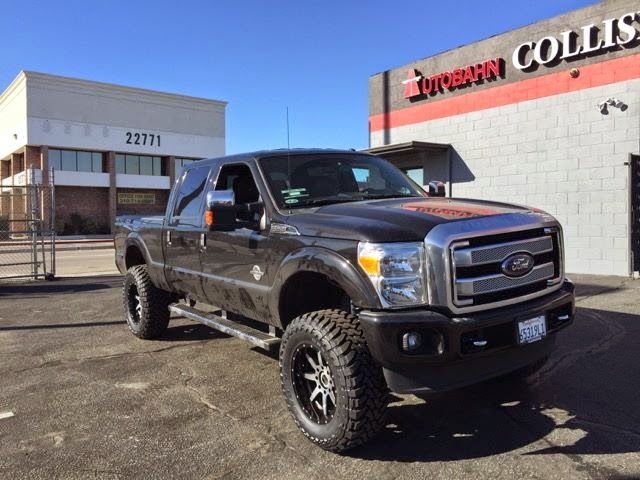 This 2014 Platinum Super Duty features a Carli Suspension Dominator 3.0 4.5" Lift Suspension System, 17" Method NV wheels, and 37x13.5x17 Toyo Open Country M/T tires. Stay tuned for many more updates on this build!